In any system implementation, upgrade or transformation programme - such as the move to SAP S/4 HANA - data migration is one of the most important activities. Done correctly, it delivers a trusted, clean set of data enabling your business to run more efficiently and make better decisions - but when data migration goes wrong, it can increase project costs, delay go-live and leave lasting long-term damage. The cost of a failed data migration is easily measured in terms of budget and timeline, with data issues likely to delay testing cycles, while risking cutover. But the effects of poor-quality data migration can be felt across the business for many months after go-live too - resulting in poor quality data flowing through your organisation leading to manual workarounds, a lack of confidence and costly compliance breaches. Data migration is a complex, challenging discipline, typically delivered as a one-off activity. Most organisations therefore lack the in-house skills needed to meet the challenge alone, especially in the new world of SAP S/4 HANA and its associated digital technologies that rely on real-time data to deliver value. As leaders in data migration and SAP S/4 HANA transformation, AgilityWorks can provide the expertise you need to migrate your data accurately and safely. Data migration is often thought of as a technical exercise, which requires a technical solution, but at AgilityWorks we prioritise business involvement throughout the project lifecycle. We’ll define clear ownership and alignment on the programme goals and scope, to ensure data is migrated in the right format, from the right systems to the right place, as smoothly and securely as possible. 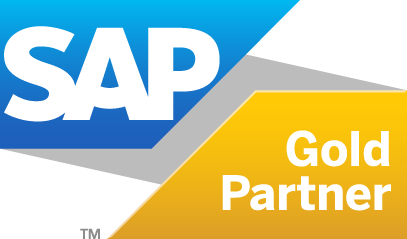 Our migration approach combines our extensive experience of SAP implementations with technical accelerators and standard content that avoids re-inventing the wheel. This ‘all-in-one’ delivery approach comprises project templates; pre-configured technical content including extract, transform and load routines; a library of data quality validations designed to de-risk data loads; and extensive documentation to support the overall solution. For critical transformation programmes, such as a move to S/4 HANA, the migration of data from legacy systems needs be carefully managed. A lack of experience can be one of the biggest risks to the success of a data migration project, so it’s essential to put in place the right team. Our skilled consultants have the expertise to complement and boost your own in-house knowledge. AgilityWorks has one of the largest S/4HANA transformation teams in the UK, with a number of successful implementations and data migrations already under our belt. One of the UK’s leaders in data migration, we’ve developed a proven and repeatable data migration methodology that leverages accelerators, templates and pre-delivered content, coupled with unrivalled SAP solution expertise.. Working with us means leveraging insight and creative thinking from a partner focused on innovation. We strike a balance between challenging the status quo and proposing pragmatic solutions to all data migration challenges. With AgilityWorks, your data migration project is in safe hands. We boast an unrivalled track record in successfully completing many complex migration projects for almost every scenario involving SAP system data - and we’ve done this across a broad spectrum of industries.